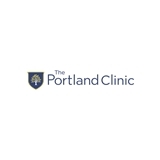 The Portland Clinic - Urology (Portland) - Book Appointment Online! Excellent clinical skills. Professionally astute. Works very well with males. the staff was very professional, I was a new patient and was in and out without a hiccup.